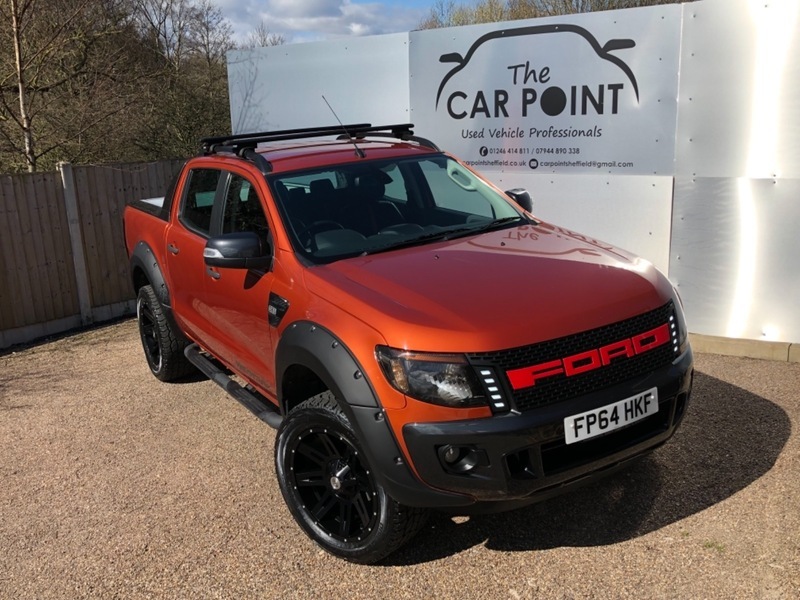 Stunning Ford Ranger 3.2 Diesel Wildtrak Auto, Having only Covered 23100 Miles, by One Owner From New and Full Service History, this Vehilce is In Excellent Condition. Within The Last Week this Ranger has gone through its Stealth kit Transformation! This Includes, Wheel Arch Extentions, Brand New 20 Inch Alloy Wheels with Brand New Cooper AT Tyres Smoked Glass. This Wildtrak Comes Standard with a Fantastic Specification Including, Full Leather Interior, Heated Seats, Satellite Navigation, Remote Locking, Climate Control, Cruise Control, Bluetooth Telephone, Front and Rear Parking Sensors. From new it has also Been fitted With a Mountain Top Roller Shutter, with a Bed Slide which helps to Enable you to get equipment in out of the back with ease, all this as well as Thule Roof Rails. We are Approved And Regulated by The FCA, Therefore This Vehicle Is Available using our Excellent Taylor Made, Finance Options, including a PCP option. Please contact us for more Details. Feel Free to Call Our sales Team on 01246 414811 Please note, This vehicle is Plus Vat.